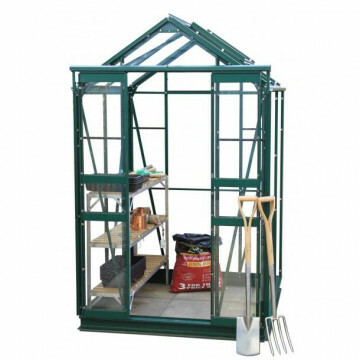 This Simplicity Sandon 44 greenhouse is relatively simple to construct using the comprehensive instructions which have excellent illustrations. Fast UK customer support is available should you have any problems. This greenhouse is supplied as a self-assembly product. The most popular accessories available for this greenhouse are Rainwater Downpipes, which you can find by clicking on the highlighted words. To get the most out of your Sandon 44 greenhouse we have a range of Greenhouse Shelves and Greenhouse Staging available too.